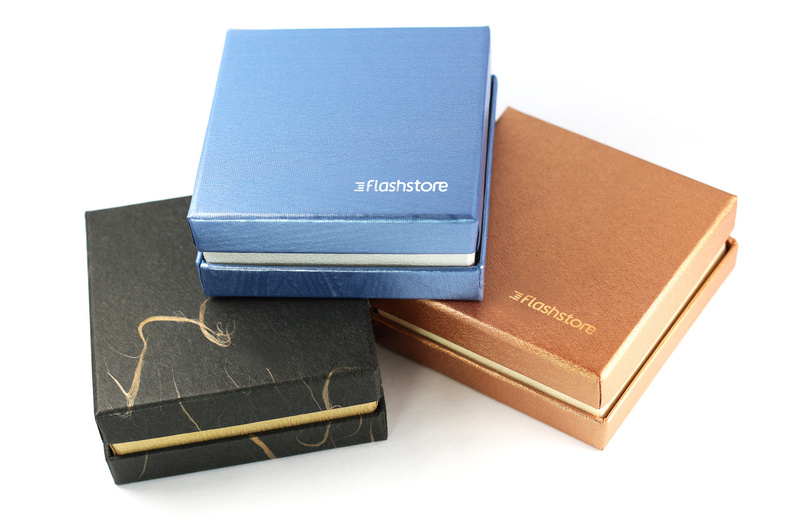 Exclusive cardboard packaging in several color options. 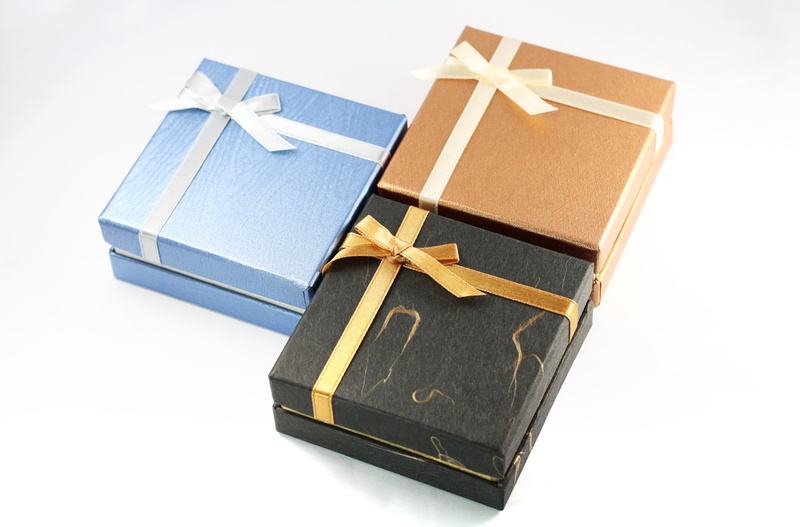 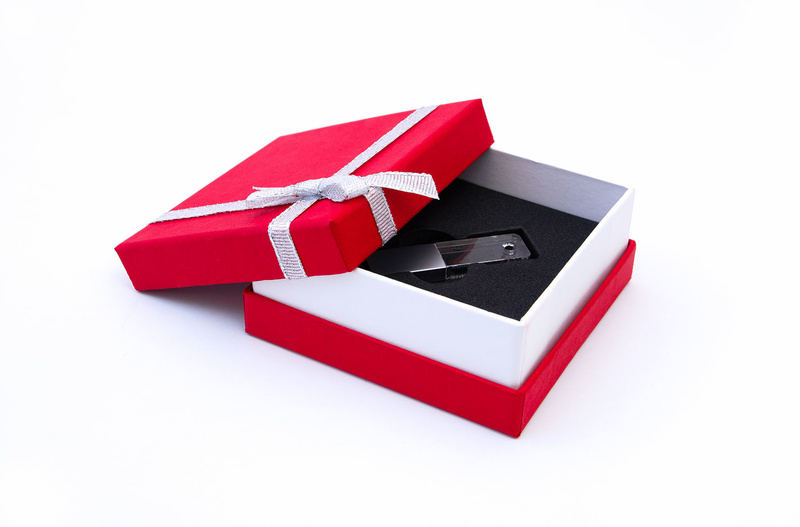 The lid of the packaging can be equipped with a gift bow or printed in gold or silver. 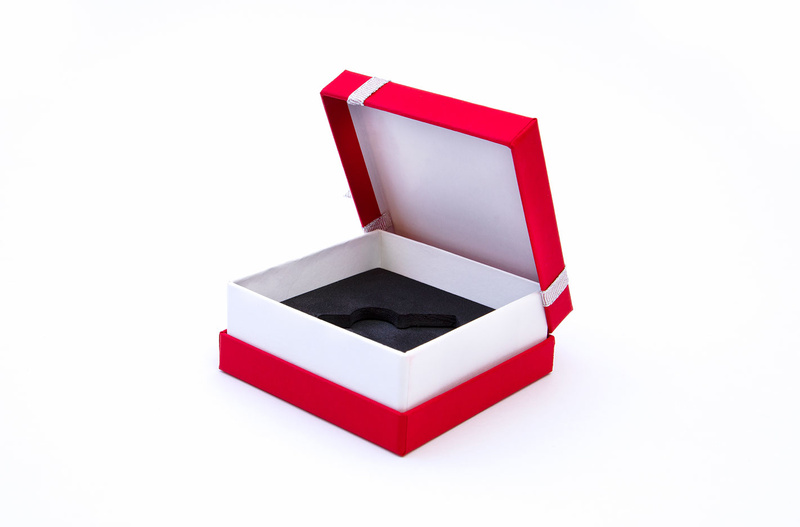 The inside of the box is filled with a profiled black foam that allows the storage of the pendrive.